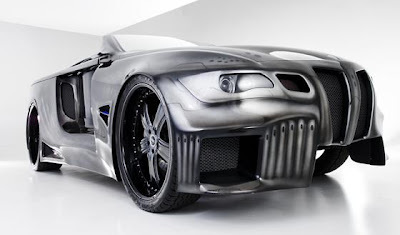 BMW and Alpine 'Sinister Six' Car - A BMW 645 convertible, modified by Alpine and named Sinister Six. 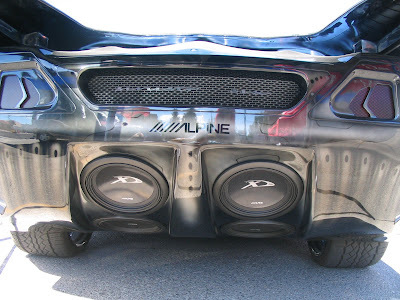 This car is equipped with 26-inch wheels, 7 monitors and four 12″ sub woofers and seven 4″ speakers. 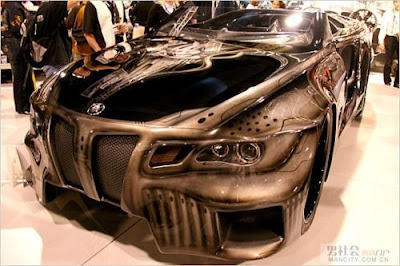 The car started life as an $83,000 BMW 645Ci and was transformed into one of the most amazing demo vehicles ever! This car has made it's rounds to many different shows, so those that have had the pleasure of seeing it in person can attest to its sheer brilliance. 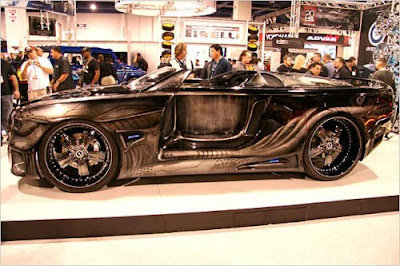 It's hard to choose just which aspect of this car is more amazing.... The motorized entry and exit? 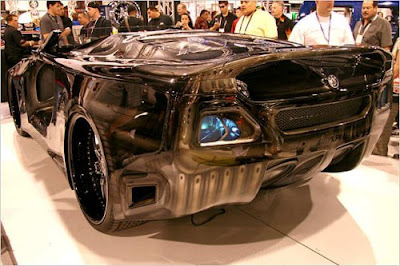 The LCD screen taillights? 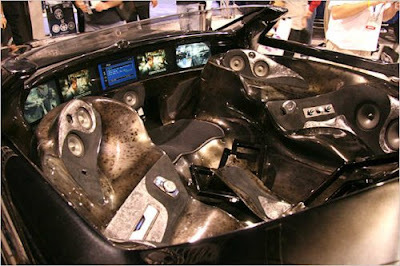 The fact that it has no steering wheel, just a steering knob? The 26x13 rear wheels? I could keep going. One thing the Alpine guys did people is that this car has one of the most expensive remote start systems ever. Since the car was so new, no bypass module was available to integrate with the factory alarm system, so the team had relocate the factory ignition switch, leave a key in it, and the use a motorized actuator to remotely turn the key in order to start the car! !